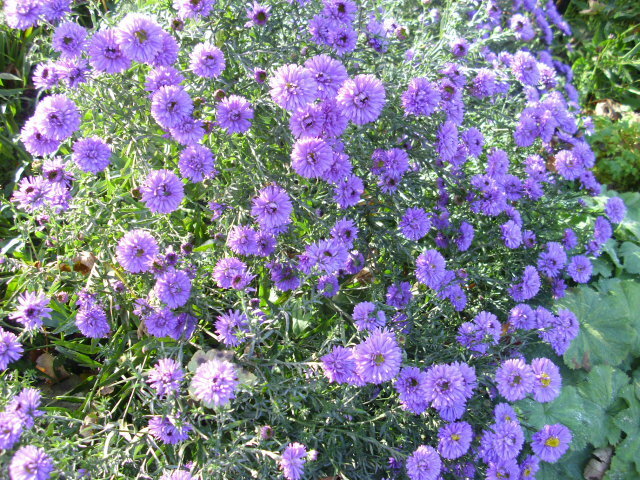 Asters or Michaelmas Daisy as they are known are the real stars of the flower garden right now. Don’t know the individual varieties…the labels are long gone but that does’nt take from the enjoyment of these gorgeous Autumn flowers. 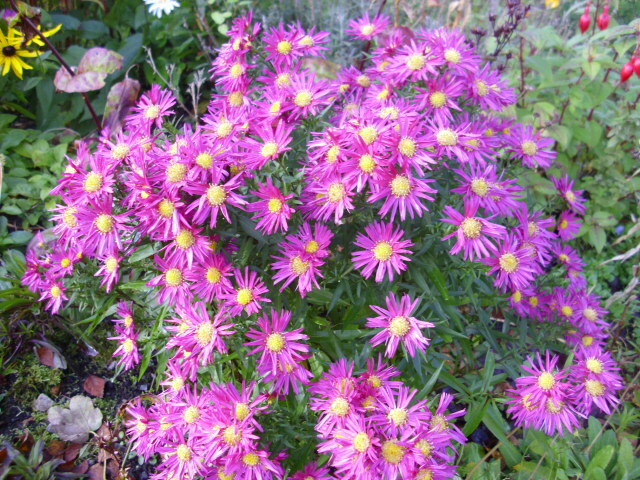 Asters can be propogated easily by division of clumps in Autumn or Spring. 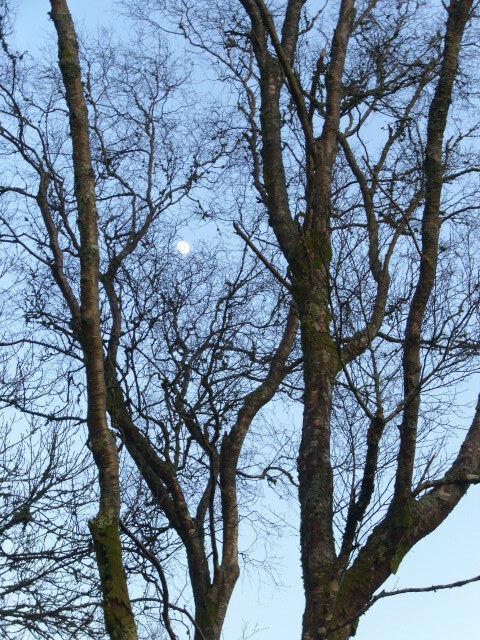 Usually the centre of clumps deteriorate so only the healthy outer sections are replanted. They thrive best in a well drained situation. I love the colour of this purple one. 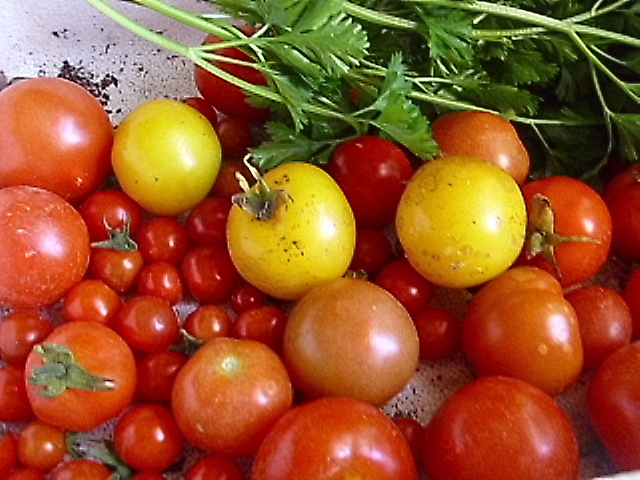 Tomatoes are still ripening in the polytunnel. The small ones are Mexican Midget, the larger ones are Moneymaker and the yellow ones are Amber which self seeded from our own compost. A welcome bonus. Tomato soup from this lot I think. Parsley is a plant we grow lots of, it is a nutrient powerhouse containing beta carotene, vitamin B12, chlorophyll, calcium and more vitamin C than citrus fruits. In addition to providing essential nutrients Parsley stimulates and balances the energy of our internal organs and improves their ability to assimilate and utilise nutrients. Because of its high enzyme content Parsley benifits digestive activity. We use Parsley raw in salads, add it to mashed potato and put it in at the end of cooking soups and stews. 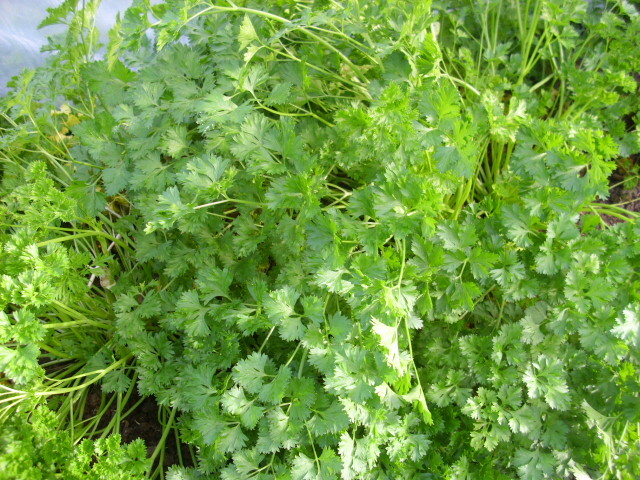 A tea made from Parsley is said to be useful against cystitis and urinary tract infections. A true superfood. 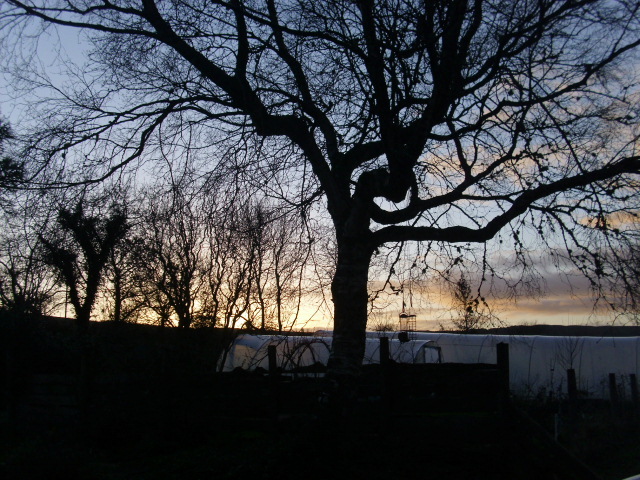 To the north of the house the Birch trees have already lost their leaves. I suspect Winter is coming early this year. The Met Office is forecasting snow at the end of October! We have lots of supplies in the larder so are fairly well prepared. 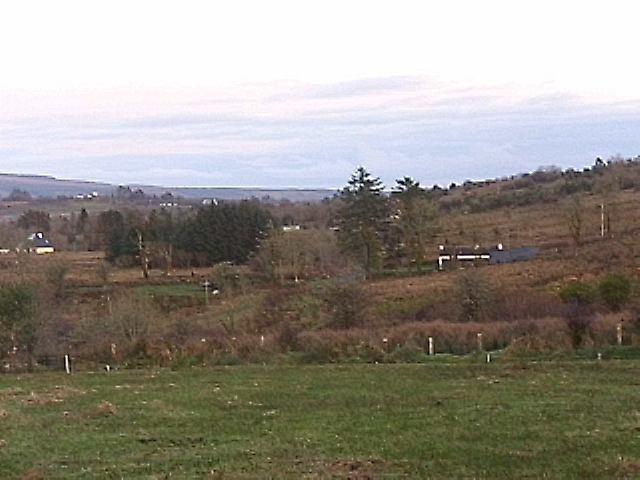 Hay is also stored for the animals plus lots of fuel to keep the house toasty. 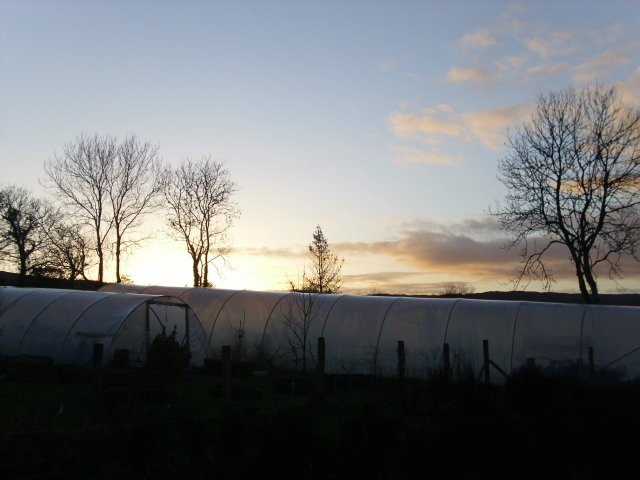 The nights are quickly becoming much longer so more time will be spent indoors. It is the time when I use the fruits and veg stored throughout the Summer to make jams and chutneys. 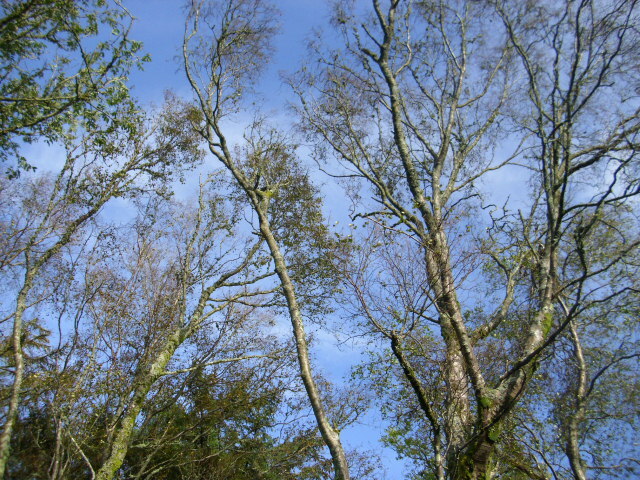 Today we can see blue sky through the trees so there is still Autumn days to be enjoyed.